The Academic Response to Chang and Halliday’s "Mao: The Unknown Story"
Mao: The Unknown Story by Jung Chang and Jon Halliday was published in 2005 to a great fanfare. The book portrays Mao as a monster – equal to or worse than Hitler and Stalin – and a fool who won power by native cunning and ruled by terror. It received a rapturous welcome from reviewers in the popular press and rocketed to the top of the worldwide bestseller list. Few works on China by writers in the West have achieved its impact. Reviews by serious China scholars, however, tended to take a different view. 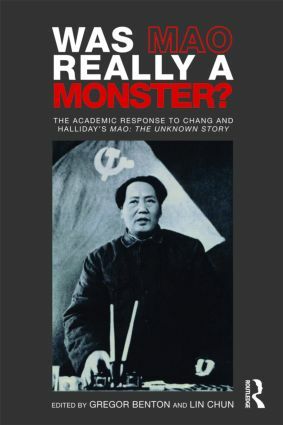 Most were sharply critical, questioning its authority and the authors’ methods , arguing that Chang and Halliday’s book is not a work of balanced scholarship, as it purports to be, but a highly selective and even polemical study that sets out to demonise Mao. This book brings together sixteen reviews of Mao: The Unknown Story – all by internationally well-regarded specialists in modern Chinese history, and published in relatively specialised scholarly journals. Taken together they demonstrate that Chang and Halliday’s portrayal of Mao is in many places woefully inaccurate. While agreeing that Mao had many faults and was responsible for some disastrous policies, they conclude that a more balanced picture is needed.